Referee Carlos Velasco Carballo will take the blame. Either FIFA instructed him to not hand out any red cards (and by extension, as few yellow cards as possible), or an outside influence did, but either way he is going to take the fall. Twitter was ablaze with comments about his poor officiating all game. 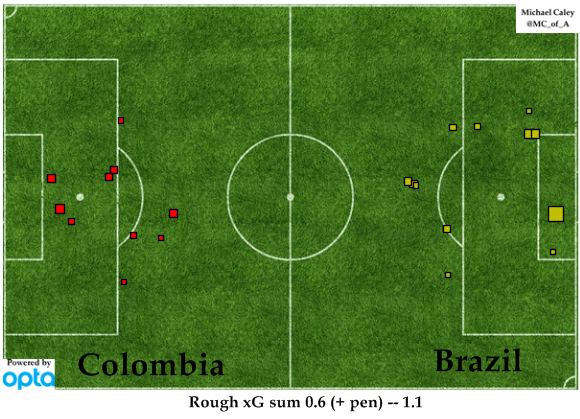 Brazil took advantage of it to rough up James Rodriguez. Eventually Colombia had enough and Juan Camilo Zuniga took Neymar down. I don’t think Zuniga had any intention of doing this much damage to Neymar, but either way, Neymar is gone from the competition. 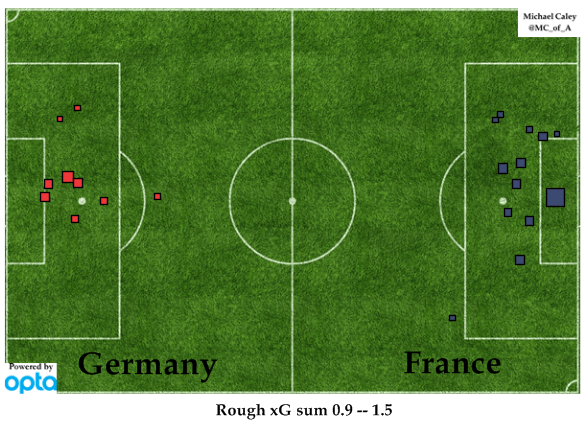 However, part of that is due to the fact that Germany was playing with a lead and it was more important to them to deny France many good scoring chances, particularly in the second half. They succeeded. The market has moved quite a bit overnight in Argentina’s (and by extension, Nate Silver’s) direction. I am highly skeptical as Argentina have looked mediocre (sans Messi) to me, while Belgium have been strong. As for Costa Rica, they are the clear underdogs in the field. I’d love to see them win the World Cup, but I expect their run to end here.